Do you want to use your same phone number on two different mobiles and thought it was impossible? Do you know what? You can make it happen thanks to the MultiSIM service offered by few of the mobile operators in India. At present, it is much more common to have more than one smartphone, especially for those people who employ one for work and another for leisure and personal life. Instead of having two different phone numbers, if you prefer to use the same mobile number on two mobile phones, it is possible by adding an extra to your rate. This function is known as MultiSIM service. The MultiSIM service allows you to have up to four cards with the same number so that you can make or receive calls from any card. In addition, if you have an Internet rate, you can access the Internet from any of these SIM cards. Logically, you can also send and receive calls and messages from all devices. Do not confuse the duplicate SIM card with this service, since when making a new one it makes the old card unusable, preventing the possibility of using them at the same time. You should keep in mind that if you bring all the devices with sound over, a call, notification or message will sound at all times on all smartphones. Not all operators allow this service to have the same phone number on two phones. Vodafone is the only company in India with which you can contract this service. Remember that it will involve an added cost. As this service is quite new, most of our Teleoperators are not providing such service. We found that only Vodafone is allowing MultiSIM service. In Vodafone, the service has no registration fee. The cost of the Multi-device service is Rs.400 per month. From the website of the company, they point out that the price of calls and other consumptions follow the tariffs of the Price Plan of your Vodafone line. The minimum consumption of your contract is shared among all the cards and if you want to replace your SIM by Multi-device you can do it through the Online Customers Area. This is all about how we can use the same number on two different mobiles. I hope this article will help you to solve all your queries. If you still have any questions on this topic, let us know through the comment section below. We will get back to you to solve all your queries as soon as possible. If you ever used this service, share your experiences with our readers to get awareness about the same. Which Tele network do you like the most? In recent years the USB connector has evolved at a dizzying pace. Current computers have USB 1.0, 2.0 and 3.0 ports, and new specifications are released almost every year. Just a week ago they have announced the new USB 3.2, which fortunately will allow us to double the speed without changing the cables. 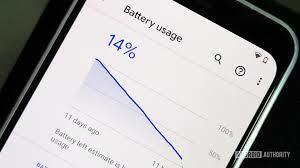 Many of us are accustomed to charging the smartphone by connecting it to a USB port on the computer because it is easier and our mobile will be nearer to us when we are on PC or Laptop. And here comes the question: Does the mobile load faster in a USB 2.0 or 3.0 port? The quick answer is it depends. The answer is clearly explained as follows. To recharge the mobile phone it is advisable to use a charger and connect it to a wall socket. This ensures the highest speed of recharge if the charger is suitable. But sometimes, for convenience, or because we have more at hand, we charge the mobile by connecting it to a USB port on the computer. It is perfectly valid and there is no problem in doing so. But on a modern PC, there are USB 2.0 and 3.0 ports, so it is normal to ask: In which USB port does the mobile load faster? The type of USB port sets the maximum recharge speed. A USB 2.0 port can supply up to 500 mA, while a USB 3.0 port offers up to 900 mA. But that does not mean that all phones connected to a USB 3.0 will charge faster than a USB 2.0 port. There are other factors involved. The other specifications are as follows. If the battery only accepts up to 500 mA, then there will be no difference between using a USB 2.0 or 3.0 port. There are mobiles that, by compatibility, limit the load to 500 mA when they detect that you have connected it to a USB port, although that port offers more power of recharge. More modern versions of operating systems disable this limitation when they detect that the port is USB 3.0 or higher. In summary, if you want to charge the mobile at maximum speed on the PC you need a USB 3.0 port and also need a USB 3.0 cable. And then check that both the battery and the operating system allow fast charging through a USB port, not just from a charger. This is how we can charge our mobile faster from our PC or laptop. When you are in a hurry, it is quite helpful to do so. Check out your ports power and see that which ports your laptop or your computer system has and then plug in the necessary USB cables to them. How To Fix/Repair A Corrupted SD Card Or USB Flash Drive? I hope this article will help you to charge your mobile phone faster from your System or Laptop. If you have any queries regarding the above method, let us know in the below comment section. We will get back to you to solve all your questions as soon as possible. If you know any other method to recharge our mobile phone faster than ever, then write them in the comment section and we will go through it and include in our article in the next update. Which method do you use to charge your mobile fastly? It has been more than two months that the Samsung Galaxy S8 came to the market and is still one of the best mobile phones on the market in all the possible areas. We know that it has been a success in sales, and it means that most of the people are using it. 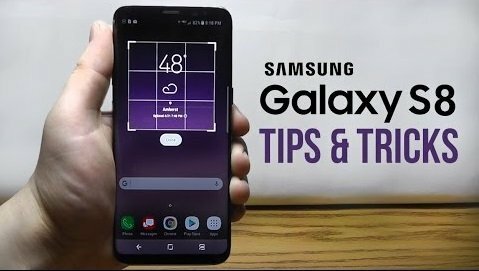 Today we are going to reveal the best tips and tricks for the Samsung Galaxy S8 to use it smarter than before. These are the safest Android phones. Check if your phone is in it? 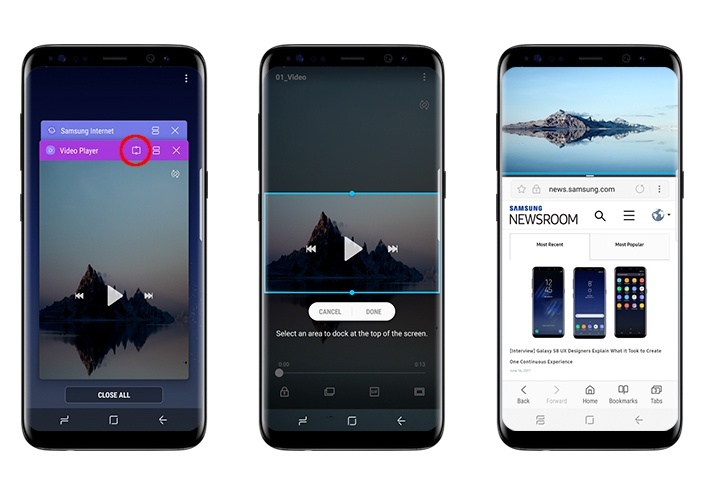 Samsung has made an effort this year including a much less loaded personalization layer of bloatware but much more functional and with more customization settings than other years and than other manufacturers. This new layer called Samsung Experience has many secrets that we can exploit and squeeze, so we’ll teach you all the possible tricks. Here are the Samsung Galaxy S8 tricks to use it in the best way. Yes, the Galaxy S8 Iris scanner is not perfect, but we can use some tricks to increase its performance. We have already published an article to improve the Samsung Galaxy S8 iris scanner performance. This trick will allow us to make it work much better in different situations and teach you in which conditions it works best. In addition to this, we will also tell you how to change the interface of the iris scanner, called a mask, to make something more fun unlocking. This is a feature that Samsung has as a default for a long time in its personalization layer. But it was not going so well as expected. Now, as it is natively on Android we have found a spectacular performance. To do this, you have to give the multitasking button and give the button that is highlighted with a red circle. This will allow you to create a floating window with the application that we want. Also, we can give the button to the right and split the screen in two to take advantage of such a large screen. Amazing isn’t it? 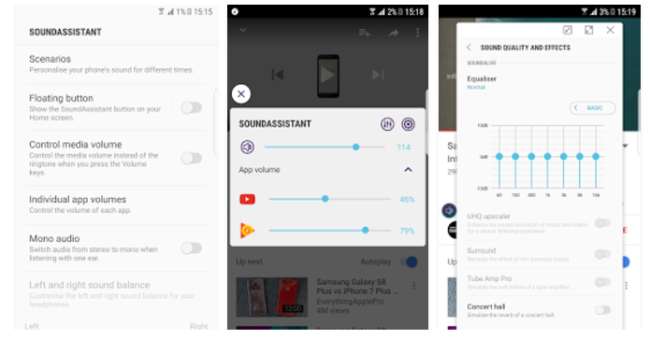 As we taught you long ago, improving the audio of the Samsung Galaxy S8 is very easy with an application made by Samsung and we can find it on Google Play Store. It is made especially for the company’s latest high-end devices that allow us to configure up to 150 different volume variables. To do this you need to activate it first. To activate go to Settings, Screen, Edge Screen. The functions of this curved screen will illuminate you when the phone is face down. 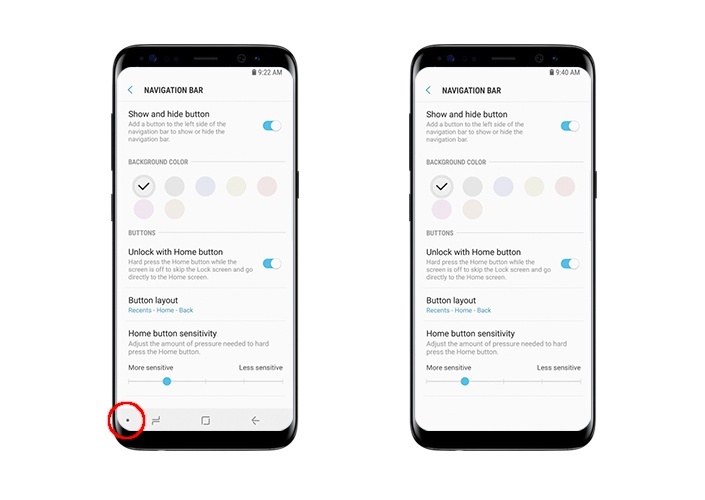 Also, when you slide your finger on the curved screen inwards, we will get a series of options that we can customise in our own way if we press the adjustments button. 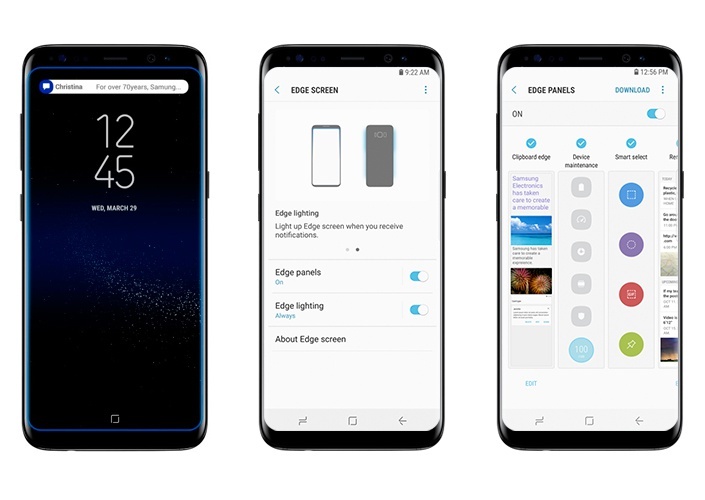 The navigation bar that houses the Galaxy S8’s Home, Back and Recent buttons have a few tricks up its sleeve, including allowing users to bypass their device’s Lock screen and instantly access the Home screen. After activating the Unlock with Home button feature via Settings > Display > Navigation bar, a hard press of the square Home button from the Always On Display will unlock the device (a swiping motion is not required), while a double-tap will pull up the lock screen. The navigation bar’s settings also allow users to customize the Home button’s sensitivity to avoid unwanted presses. Users may hide the navigation bar in apps where it does not automatically disappear or fix it to their screen by toggling the Show and Hide button, which appears on the bar’s far left side. The bar’s configuration may also be customised. Using certain apps and functions may cause the navigation bar to disappear entirely. In those instances, users may navigate back to the Home screen by hard-pressing on the Home button’s usual location and may access the navigation bar by swiping up from the bottom of the screen. These are the best tricks of Samsung Galaxy S8. I hope this article will help you to get the most out of your Samsung Galaxy S8 mobile. If you have any queries regarding the above tricks let us know in the below comments. We will get back to you to solve all your questions as soon as possible. If you know any other tricks, write them in the below comment section and we will include in our article in the next update. If you want to know any other tricks regarding Samsung Galaxy S8, do write us through mail or comment below. Which tricks do you like most in Samsung Galaxy S8? What else you want to include in Samsung Galaxy S8? The Samsung Galaxy S8 has become the most used mobile of this year. Without a doubt, we can say that it is one of the hit mobiles in the present market. So, today we are going to reveal few best tricks to improve the performance of the Samsung Galaxy S8’s iris scanner. The Galaxy S8 has several ways to unlock the terminal. In those many ways, we found the fingerprint sensor that is on the back of the mobile, to the right of the camera. We can also see that it has a facial recognition that works really well and also a scanner Of iris. Today we will bring you the best tricks so you can take full advantage of the iris scanner and facial recognition. Now, we are going to teach you the best ways to use the iris scanner and facial recognition. To make the S8 iris scanner work better, we have to configure it without glasses or contact lenses. Open your eyes widely (little big than the usual opening) and in an environment where there is not much light (low light). The iris scanner will work much better in low light environments than in outdoor lights. When sunlight strikes directly on the scanner, it works worse, so we have to learn in which situations to use it. On the contrary, facial recognition works the other way around. Before commenting, we have to say that to configure it, we recommend the following same advice as for the iris scanner. The facial recognition works much better in both bright light and low light where it suffers a lot and loses performance. We can only activate one of the two options, so we recommend that, when we are at home or in a closed place, set up the iris scanner, and when we go outside, set the facial recognition. That’s it! Hopefully, your biometric unlocking experience is great, but if it’s not, there’s always the rear fingerprint sensor to fall back on. You have set that up already, haven’t you? 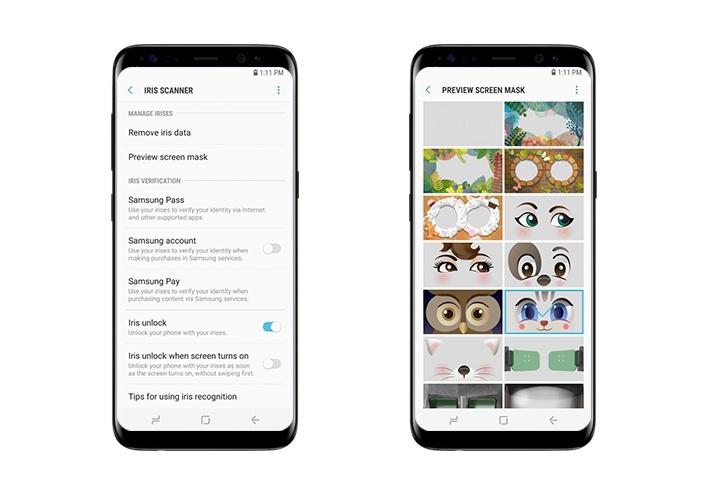 These are the tricks to improve the Samsung Galaxy S8 Iris scanner. I hope this article will help you to get the best out of your Iris scanner. If you have any queries regarding the above methods, let us know in the below comments. We will get back to you to solve all your queries as soon as possible. 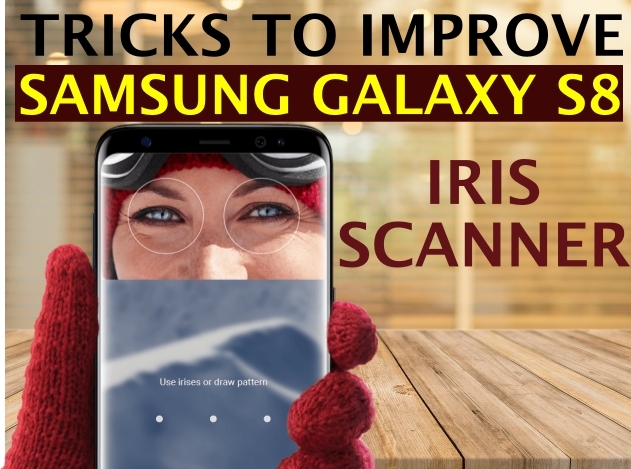 If you have found any other tricks to get the best performance of Iris scanner in Samsung Galaxy S8, share them with us through the comment section below. 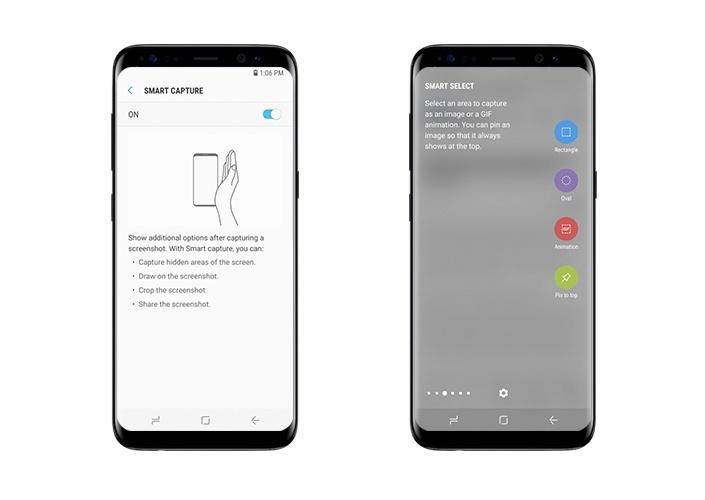 Which Feature do you like the most in Samsung Galaxy S8? What else you want to add in the Samsung Galaxy S8?